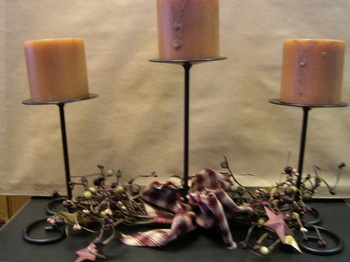 A gorgeous iron centerpiece for any table, three prim style pillars are included, each made with assorted berries. Stands 12" tall, 16" across, 6" deep. Made here of imported products.